Visual content is king. It is more successful than any other form of communication. If you embrace visual content marketing you will reap the rewards in terms of more readers, followers, leads, clients and, of course, revenue. Most of us know that humans are visual beings, with verbal and written communication not nearly as effective. In fact, 90 percent of information transmitted to the brain is visual. However, focusing heavily on a visual content strategy might come at a price -- in this case, your marketing budget. You might not be able to hire that full-time, part-time or freelance designer to help you with graphic design. But not all is lost! You can become your own designer. You can do everything from social media posts and infographics to ebooks and flyers with the right tools. This blog post uncovers seven resources that make it as easy as possible for non-designers to create eye-catching visuals. When people hear information, they remember only 10 percent of that information three days later. However, if a relevant image is paired with that same information, people retain 65 percent of the information three days later. Seventy-four percent of social media marketers use visual assets in their social media marketing, ahead of blogs (68 percent) and videos (60 percent). Infographics are liked and shared on social media three times more than other any other type of content. 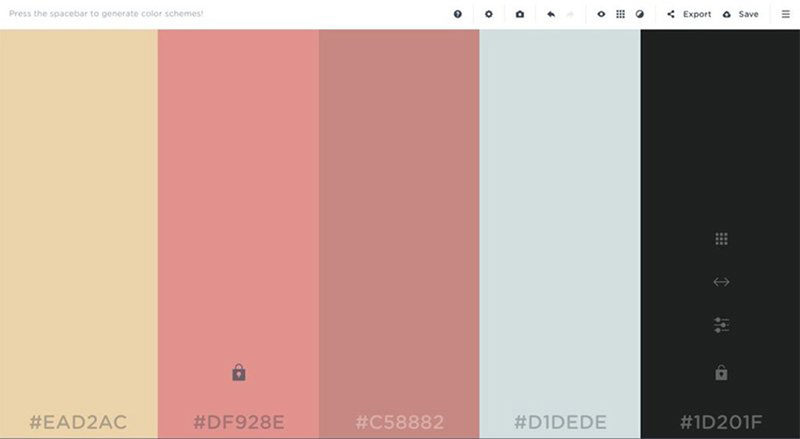 Coolors is the easiest tool out there when it comes to color schemes. If you are starting a design or branding project from scratch, you will need to start with a color pallette. Without a designers eye, it might be hard to find and pick colors that work well together. With Coolors, you simply press the spacebar to generate endless options of colors that complement each other. If you see a color you like amongst the group, you can lock it and keep refreshing the others until you get the desired combo. All set? Just copy the hex color codes and paste them in your other design tools to maintain those exact colors. Now that you have your color pallette, you will need a font set. And while Coolors is the easiest tool out there, Type Genius might be the most straightforward one. This tool allows you to find the perfect font set by putting together font combos for your design. All you do is pick a font and the tool will show you a beautiful pairing, along with an example of the combo in action. Colors, check. Fonts, check. The next step is to find images! 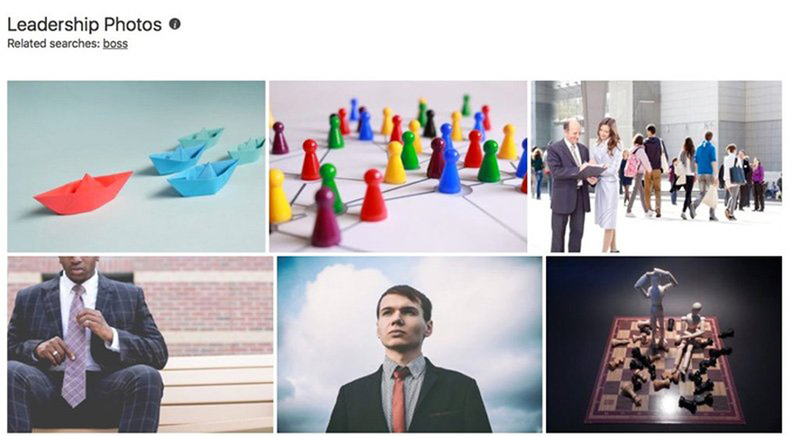 While there are many stock photography websites out there, Pexels offers a great selection of high-quality free images. Just type in the subject you are looking for and it will generate search results with free content that you can download. Below these free options, you will always find paid images that will redirect you to other websites. Start with free stock photography and if you find it lacking, you can always upgrade to a website like Shutterstock or Adobe Stock. If you have original pictures -- maybe you are an iPhone photographer or an experienced DSLR camera user -- Picmonkey is a great tool to edit these images for free. Not only can you do basic edits -- like brightness, contrast, sharpening etc. -- you can also get creative with borders, filters and stickers. And unlike Photoshop, Picmonkey is actually very intuitive and easy to use. 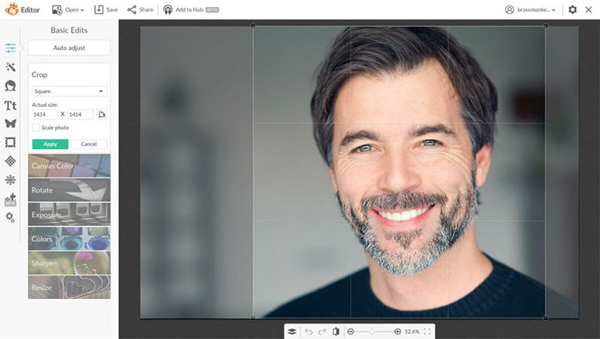 They also offer a paid version that gives you access to more editing features. Now that you have all your design elements in place, Canva is the tool for creating the perfect layout. 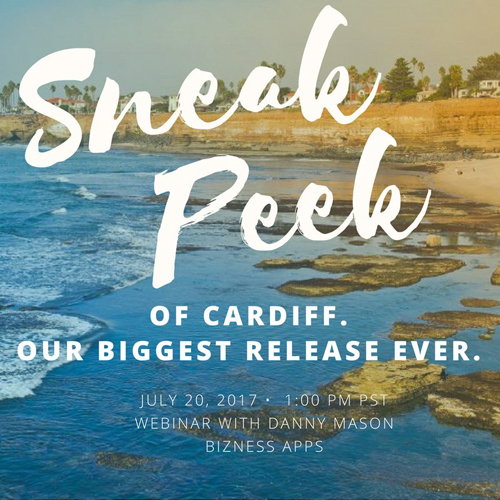 Canva allows you to design social media graphics, marketing materials, ebooks, magazines, books, flyers and anything else you can think of. They provide beautiful templates that can be customized to your brand. Many of their templates are free, but you can also find ones that cost a few dollars. Here’s an example of a social media post I made for Bizness Apps in about 10 minutes. If you are managing an Instagram account or Facebook page for your business, Snapseed is there to help you edit pictures on the go. The app takes a second to figure out, but once you’ve got the phone gestures down you’ve got all the editing tools at your disposal. 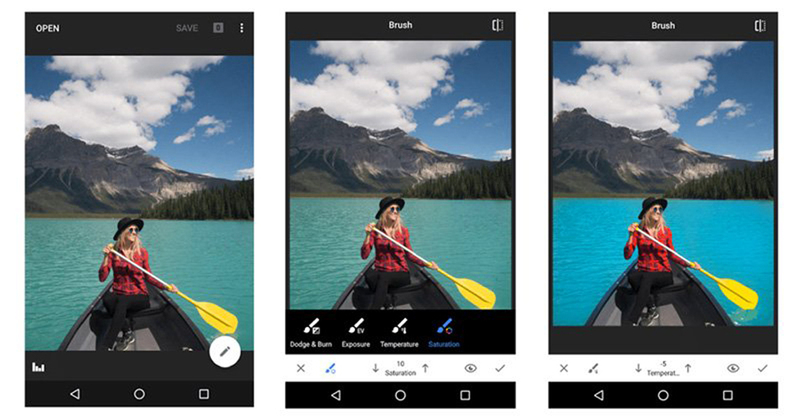 While you might be using Instagram’s own photo editing, this app allows you to complete more advanced actions like changing the perspective, adjusting only certain sections of your pictures, and editing out distractions or blemishes. Another benefit is that you don’t have to transfer pictures from your phone to your computer and back, you can do everything from the comfort of your device and then upload it to the right social media account. Best of all, it’s completely free (and not just the lite version, but the complete software)! Visme was created to allow anyone with or without design knowledge to translate their ideas into engaging visual, like infographics, presentations and reports. What sets this platform apart is that users can create interactive and animated infographics! If you are struggling to create any of this visual content from scratch, they also have many templates available to give you a jumpstart. 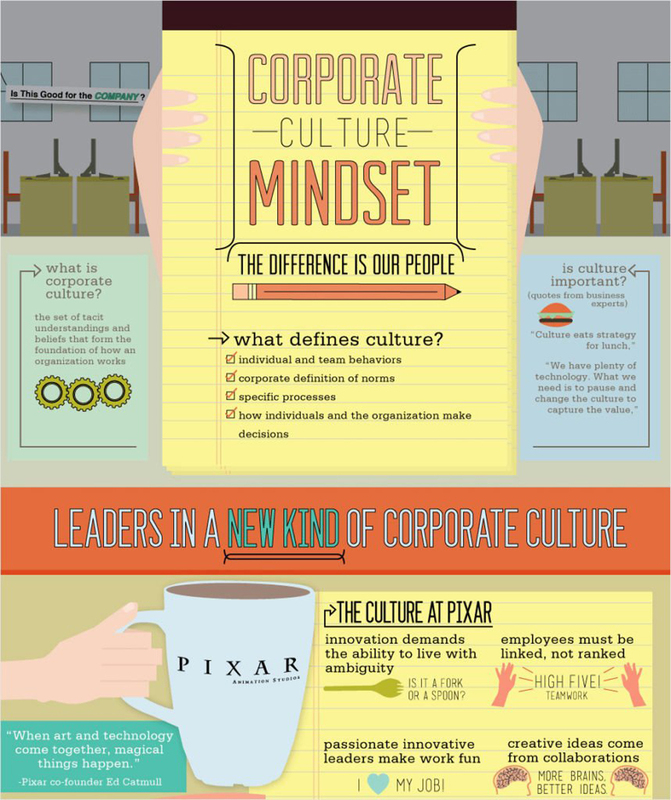 Here’s an example of a corporate culture infographic. Now you’re ready to take on your visual marketing strategy with the easiest and most convenient tools at your disposal. Once you start, you’ll be hooked. I love to see something transform from an idea in my head to something beautiful on paper (or computer screen, that is). And these powerful resources actually make it possible for us non-designers!